India and China have agreed on an accelerated disengagement of troops in the disputed area of Doklam, the Indian Ministry of External Affairs (MEA) said in a statement Monday. India’s Ministry of External Affairs stated that India and China have agreed for expeditious disengagement on the Doklam plateau, ending a military face-off of almost three months. "In recent weeks, India and China have maintained diplomatic communication in respect of the incident at Doklam. During these communications, we were able to express our views and convey our concerns and interests. On this basis, expeditious disengagement of border personnel at the face-off site in Doklam has been agreed-to and is ongoing," the statement said. The breakthrough comes just ahead of Indian Prime Minister Narendra Modi’s visit to China for the Brazil-Russia-India-China-South Africa (BRICS) summit in Xiamen. Chinese Foreign Ministry spokeswoman Hua Chunying confirmed that the sides managed to reach understanding on the issue. "All of India’s servicemen and military equipment, which illegally crossed the border, were withdrawn back behind their border," Hua said at the press briefing. The spokeswoman noted that China will continue to undertake all necessary measures to ensure its territorial integrity and sovereignty. India and China have been locked in a border standoff since mid-June. The confrontation started after Indian troops blocked road construction being carried out by China in the disputed area of Doklam (Donglang). China insists that the territorial dispute in Sikkim was resolved as long ago as in 1890, when Beijing and the British Empire signed the so-called Convention of Calcutta, which defined Sikkim's borders. However, India-backed Bhutan is convinced that Beijing’s attempt to extend a road to the Donglang area goes against a China-Bhutan agreement on maintaining peace in the region until the dispute is resolved. 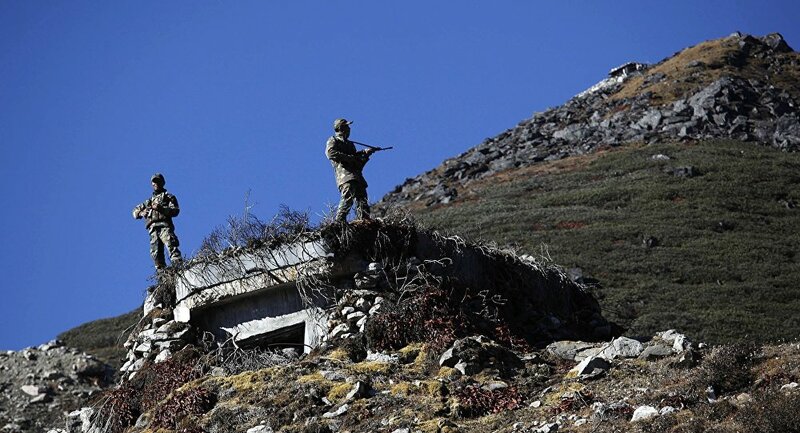 Border standoffs between Indian and Chinese troops occur on an almost daily basis at different parts along the 4,057-kilometer (about 2,521 miles) LAC between the two nations, an informal cease-fire line between India and China after the 1962 conflict.